The Supreme Court Bar Association (SCBA) on Thursday passed a resolution condemning the Bar Council of India (BCI) for its recommendations / amendments to the Bar Council of India Rules against lawyers’ interest. An emergent meeting of the executive committee discussed the issue regarding widely-circulated media reports that mention that the BCI has proposed certain recommendations / amendments to the Bar Council of India Rules pertaining to rights of legal fraternity and proposed imposing penalty and fines on advocates, amendments that will curtail rights of the lawyers to protest. The executive committee unanimously deprecated and condemned the unilateral manner in which these very important amendments were proposed by the BCI to the Law Commission of India. The SCBA resolved that the recommendations made by the BCI to the Law Commission as per the newspaper reports are in the nature of total subjugation of advocates as a class and the suggestions unequivocally curtail their right to protest. “We strongly feel that the Bar Council of India should not have acted in haste and should have consulted the SCBA. The Executive Committee further resolves that Bar Council of India be requested to furnish the details of all recommendations made to the Law Commission of India and also furnish particulars in relation to any proposed amendments to the Bar Council of India Rules or The Advocates Act, 1961,” it said. The SCBA also expressed complete solidarity with the entire legal fraternity on the abovementioned issues. However, the BCI denied the allegations. In a press release, the BCI stated that the allegations were baseless. “A totally baseless rumor is being spread by some people against Lawyers. The Bar Council of India is there to protect the interest and rights of Advocates. The Hon’ble Supreme Court has been stressing upon the Bar Council of India and the State Bar Councils to take steps for curbing the uncalled for and unjustified strikes. 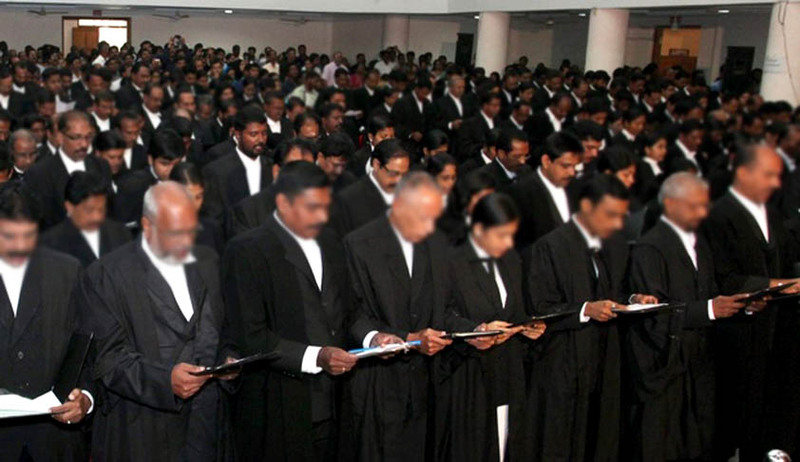 Some people have no interest in the profession and they are always indulging in unruly activities which results in maligning the image of Bar and which also badly affects poor litigants,” it said.